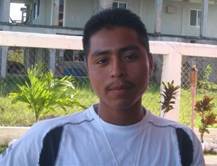 Pedro Witz was 19 years old when he became a GOJoven Fellow fromPunta Gorda,Belize. Pedro has worked at Earth Watch Institute and the Social Investment Fund, volunteered with the Belize Women’s Department and Toledo Mayan Woman’s Council, and has experience running programs for children and youth in theAdventistReformChurch. 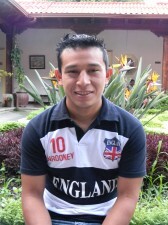 He has also worked with the Toledo Cacao Growers Association (TCGA) as Finance Officer/Accountant, and as Project Coordinator of the Mayan House of Cacao & Chocolate Museum, a project funded by the European Union through the TCGA and intended to generate more income and value added product to the cacao to then pay farmers more money for their cacao beans. Pedro holds an Associates’ Degree in Business Administration from theUniversity ofBelize.